ADJ will use the upcoming LDI entertainment technology show as the perfect platform for debuting more than 25 innovative new products. Visitors to this year’s LDI (Lighting Dimensions International) entertainment technology show – which runs November 17-23 at the Las Vegas Convention Center – will find ADJ at booth #2816, where they will see the launch of the company’s latest range of exciting developments. 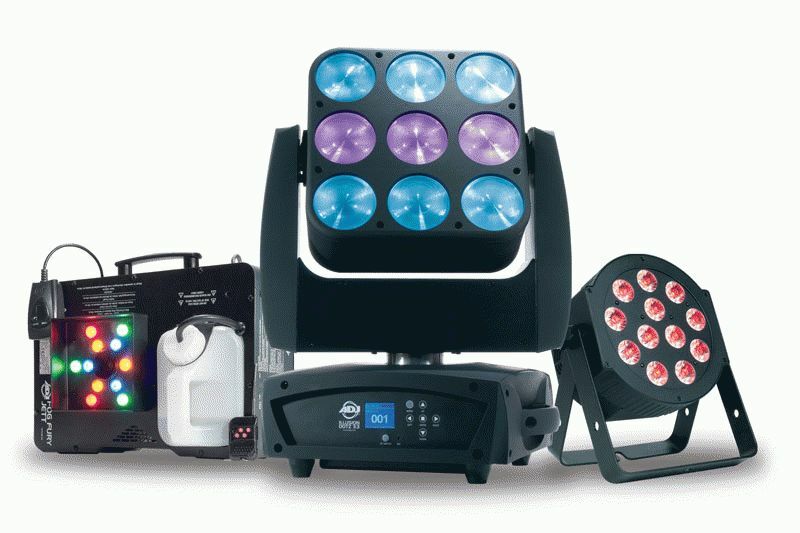 The more than 25 new products on display include the 12P Hex, the Illusion Dotz 3.3 and the Fog Fury Jett, and have all been expertly designed by ADJ to help users bring pure lighting excitement to any venue, from churches to nightclubs to roller rinks. Also bringing to life the ADJ booth at LDI will be the Illusion Dotz 3.3: a more compact, more affordable version of the successful Illusion Dotz 4.4. 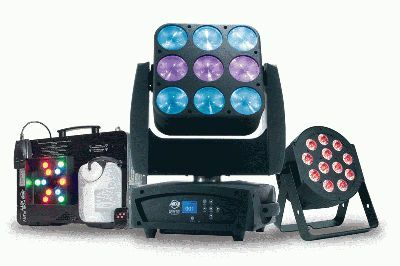 The fixture is a super-effective pixel-mappable fixture consisting of a COB LED 3x3 matrix mounted on a moving head yoke; providing compact power, unique movement, incredible animated patterns and endless creative potential. Thanks to its nine 30-watt tri-color (RGB) COB LEDs and 15-degree beam angle, the Illusion Dotz 3.3 is incredibly bright; capable of wash and beam effects, as well as being a pixel-mappable effects matrix. With 360/540-degree pan and 270-degree tilt, the whole unit moves around, enabling users to create attention-grabbing lightshows. This remarkable movement allows the Illusion Dotz 3.3 to be used creatively by lighting designers as a wash effect, to light a band or stage performance, or as an audience-facing effect delivering color washes, strobe effects and animated patterns for high levels of intense visual impact. Users will also be delighted to hear that the Dotz 3.3 retains the Dotz 4.4’s Artnet/Klingnet compatibility, which allows the user to project low-resolution video content across the COB LEDs via RJ45 connections on the rear, using control solutions such as Arkaos Media, Master Express and Media Master Pro. An exciting new addition to the ADJ Fog Fury line of fog machines will also make its debut appearance at LDI 2014. Visitors will enjoy an exclusive viewing of the Fog Fury Jett – a high velocity, DMX-compatible, vertical fogger that uses 12 quad-color (RGBA) 3-watt LEDs to infuse its fog effects with color for atmospheric results. Like many of the other fixtures in the Fog Fury series, the Fog Fury Jett utilizes a high performance Italian pump system for optimum output, a special heating element that uses an oil-type transmission throughout the pipeline to prevent clogging, and ADJ’s ETS (Electronic Thermo Sensing) technology to maintain optimum heat levels and a short warm-up time of nine minutes. The machine also boasts an impressive fog output of 20,000 cubic-feet per minute. Like the other machines in the series, the Fog Fury Jett uses top quality water-based fog fluid and has a low fluid indicator on its rear to lets users know when they’re starting to run dry. The Fog Fury Jett is the most versatile machine in the Fog Fury range, and visitors to LDI will see its incredible effects in action, first hand. At the exclusive debut appearance, crowds will see exactly what sets the Fog Fury Jett apart from its predecessors; the ability to produce dry, even blasts of fog that shoot over 25 feet into the air, thanks to ADJ’s latest advances in heater technology. This, along with the fact that the 3-liter external fluid tank can be mounted on the front or rear of the unit, means that the Fog Fury Jett can be used vertically (pointed up or down) or used horizontally.